I learned about QR codes about a month ago at a NAR seminar here in Sacramento. I consider myself to be technically savvy, and this was the first time I had ever heard about QR codes. I finally had the opportunity this week to play around with QR codes, and it was a lot of fun. And the great thing about this technology is it’s free! Some of you may be wondering what the heck a QR code is? Well, it is basically a barcode that can be scanned by a QR code reader from your smartphone. QR stands for Quick Response. QR codes where originally created by a subsidiary of Toyota to track vehicle parts. Now this technology is gaining popularity in many different areas including real estate! The basic concept of the QR code is that you can link information to a QR code for marketing purposes whether it be text, email, video, website and the like. How cool is that right??? One of the best uses I see for the real estate industry is placing a QR code on a listing flyer and/or open house flyer to showcase the inside of a home. QR codes can also help market you as an agent! Of course, your potential customer must have a QR code reader on their smart phone to take advantage of this technology! There are a number of QR code readers out there for the iPhone, Andriod and newer Blackberries. I did a bit of research and ended up loading NeoReader for my iPhone. Other popular apps I found online include QuickReader, I-Nigma, BeeTag, MobileReader. There are a lot of them out there, so do your research to find out which one is best for your smartphone. I used goo.gl (a google tool) to generate my QR code because I wanted to link one of my youtube videos to a QR code. I know there are other tools out there to link text, etc. Once the QR code is created, you can copy and paste it into anything you want! I highly recommend taking the time to research and play around with this technology. You will not be disappointed! 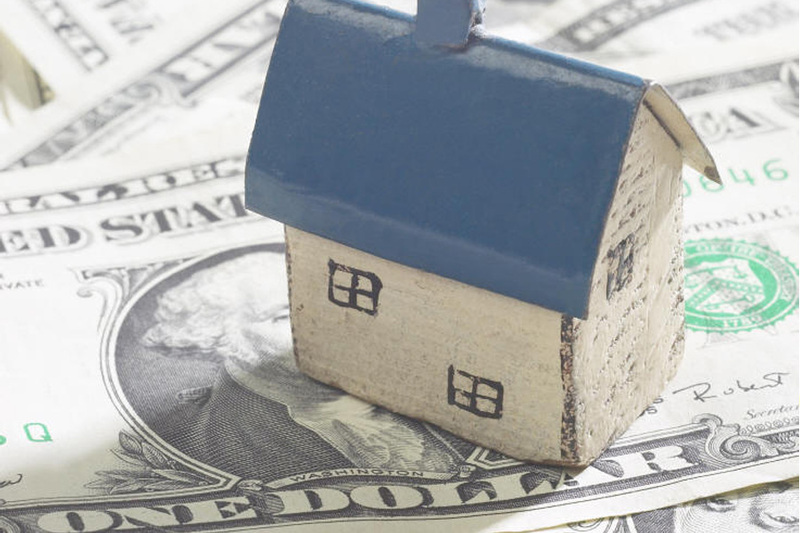 Below are several common real estate tax tips that may be helpful to you. For more information about these tax incentives and to determine which ones you qualify for, please consult with your tax advisor. • Mortgage interest. For most people, the biggest tax break from owning a home comes from deducting mortgage interest. 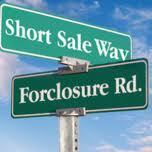 Your lender will send you Form 1098 in January listing the mortgage interest you paid during the previous year. That is the amount you deduct on the Schedule A tax form. Be sure the 1098 includes any interest you paid from the date you closed on the home to the end of that month. This amount is listed on your settlement sheet for the home purchase. You can deduct it even if the lender does not include it on the Form 1098. • Mortgage Points. When you buy a house, you may have had to pay “points” to the lender to obtain your mortgage or buy down your rate. This charge is usually expressed as a percentage of the loan amount. And, believe it or not, you get to deduct the points even if the seller paid them for you as part of the deal. The deductible amount should also be shown on your 1098 form. • Real-estate property taxes. You can also deduct the local property taxes you pay each year. In the year you purchase your residence, you likely reimbursed the seller for real estate taxes he or she had prepaid for time you actually owned the home. If so, that amount will be shown on your Hud-1 settlement sheet. Include this amount in your real-estate tax deduction. Note that you can’t deduct payments into your escrow account as real-estate taxes. Your deposits are simply money put aside to cover future tax payments. You can deduct only the actual real-estate tax payments made from the account by your lender. Homeowners who take the standard deduction instead of itemizing can deduct part of their property taxes. Joint filers can add in up to $1,000 of property taxes paid to their standard deduction amount. Singles can add in up to $500 of real estate tax payments to their standard deduction amount. • Private mortgage insurance premiums. For mortgage loans with a down payment of less than 20% of a home’s cost usually include a premium for private mortgage insurance (PMI), an extra fee that protects the lender if the borrower fails to repay the loan. PMI premiums can be deducted by home buyers. This write-off phases out as income increases above $50,000 on married filing separate returns and above $100,000 on all other returns. • Credits for first-time home buyers. D.C. CREDIT: First-time buyers of property in D.C. get a federal tax credit of up to $5,000. This tax break phases out as income rises between $70,000 and $90,000 on single returns and between $110,000 and $130,000 on joint returns. • Home improvements. Save receipts and records for all improvements you make to your home, such as landscaping, storm windows, fences, a new energy-efficient furnace and any additions. When you sell your home, the cost of the improvements is added to the purchase price of your home to determine the cost basis in your home for tax purposes. • Tax-free profit on sale. Another major benefit of owning a home is that the tax law allows you to shelter a large amount of profit from being taxed if certain conditions are met. If you are single and lived in the house for at least two of the five years before the sale, then up to $250,000 of profit is tax free. If you’re married and file a joint return, up to $500,000 of the profit is tax free if you lived in the house as a primary home for two of the five years before the sale. Better Homes and Gardens Mason-McDuffie Real Estate is one of the premier real estate companies in Northern California. While we are in the business of selling homes, we also pride ourselves on giving back to the communities we service. March 5th is our annual “Giving Day.” On this day we will be helping Acres of Hope. Acres of Hope is a faith based, long term residential renewal program for at risk and/or homeless women with children in Placer County. We are striving to make their lives a little better. BHG Mason-McDuffie Real Estate will be providing beautification of the grounds where the women live and their children play. Acres of Hope is an outstanding program with a high success rate. We are looking for cash donations to aid in our efforts. If any money is left over, we will be giving it directly to Acres of Hope since they soley rely on donations! Even the smallest amount will go towards helping this amazing organization. Contact your Better Homes and Gardens Real Estate Agent, or contact our office directly at (916) 787-4866.